With a stay at Tmark Grand hotel Myeongdong, you'll be centrally located in Seoul, steps from Namdaemun Market and minutes from Sungnyemun Gate. 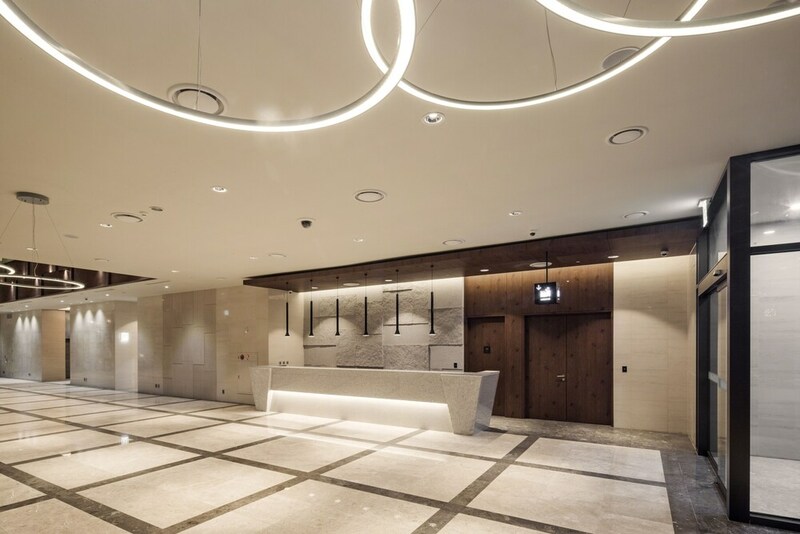 This 4.5-star hotel is within close proximity of Postal Museum of Korea and Seven Luck Casino Millennium Seoul Hilton Branch. Make yourself at home in one of the 576 individually decorated guestrooms, featuring refrigerators and flat-screen televisions. Complimentary wireless Internet access keeps you connected, and cable programming is available for your entertainment. Private bathrooms with shower/tub combinations feature deep soaking bathtubs and designer toiletries. Conveniences include laptop-compatible safes and desks, and housekeeping is provided daily. Don't miss out on recreational opportunities including an indoor pool and a fitness center. Additional features at this Art Deco hotel include complimentary wireless Internet access and concierge services. For lunch or dinner, stop by Tour de Goumet Buffet res, a restaurant that specializes in international cuisine. You can also grab snacks at the coffee shop/café. Buffet breakfasts are available daily from 7 AM to 10 AM for a fee.